Shanghainese people love their soups. We spend hours and hours simmering soups that are full of flavor but still light and refreshing, and we always like to start off our meal with soups whenever possible, as a way to prepare and clean the palette. Soups are unfortunately a luxury I cannot afford at school, as I simply don't have the time to be simmering away on a stove all day, nor do I have a big enough dutch oven. This particular soup is made from simmering water with a young hen (using things such as chicken and beef stocks is such blasphemy in Chinese soup-making). My mom puts lots of sliced ginger in the water, as well as some white pepper. After the soup has simmered for several hours, she puts in some other items such as sliced Chinese sausage and chunks of winter melon. Winter melon is this big green melon with a stark white flesh surrounding a small cavity full of seeds, just like a honeydew. You can find winter melons at Asian supermarkets, where they are usually sold in sections instead of the whole melon. You remove the outer skin and the seeds, and then cut the melon into rectangular chunks to boil in the soup. They are ready when they turn translucent and become soft (they should not have any crunch to them). 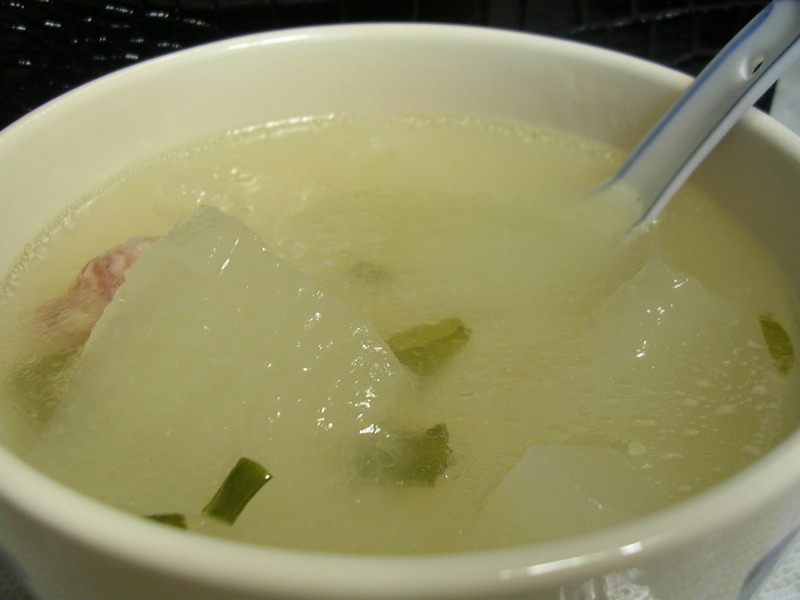 Winter melon has very little flavor of its own, but absorbs the soup and is very refreshing. Finally, the soup is finished off with salt as necessary, and topped with scallions. It's very simple, but wonderfully appetizing. 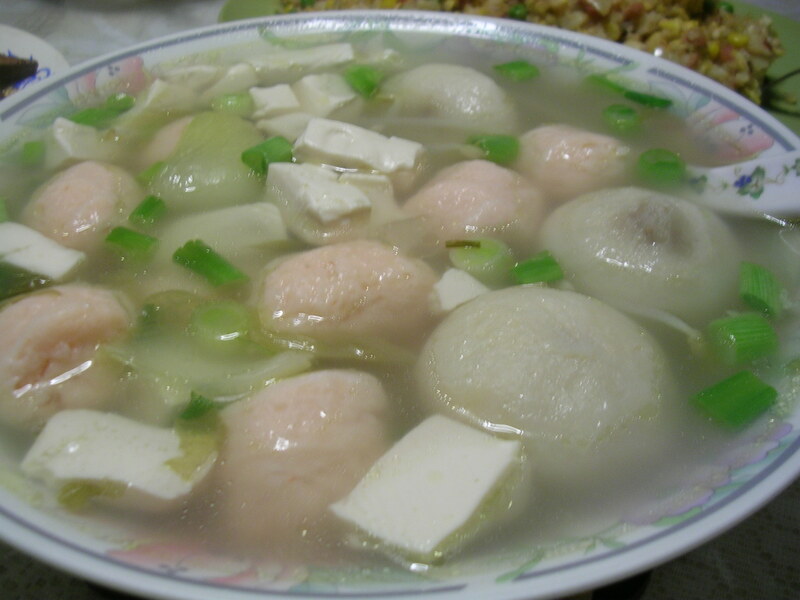 It really brings out the gentle flavor of the chicken, and is a very healthy soup with all that winter melon to add to your vegetable intake! My mom made this dish to take to a potluck, and left me a little platter all decorated with a ring of broccoli, how cute! 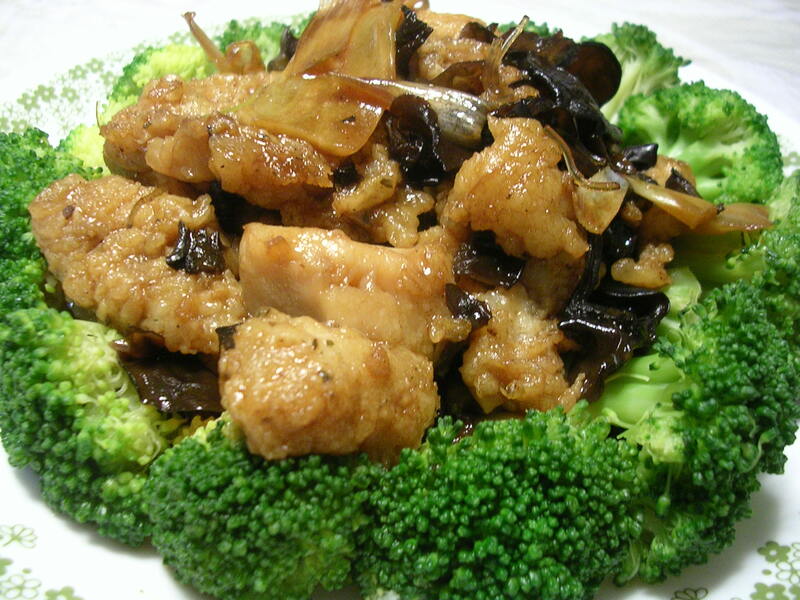 She used flounder filets, which were lightly floured and fried, before tossing with black wood ear fungus, sliced bamboo shoots, and onions in a soy and black vinegar-based sweet and sour sauce. She loves to make this for dinner parties, because it's easy to do but tastes like you spent hours trying to prepare it. Remember the pork liver dish I got in California just a little while ago? 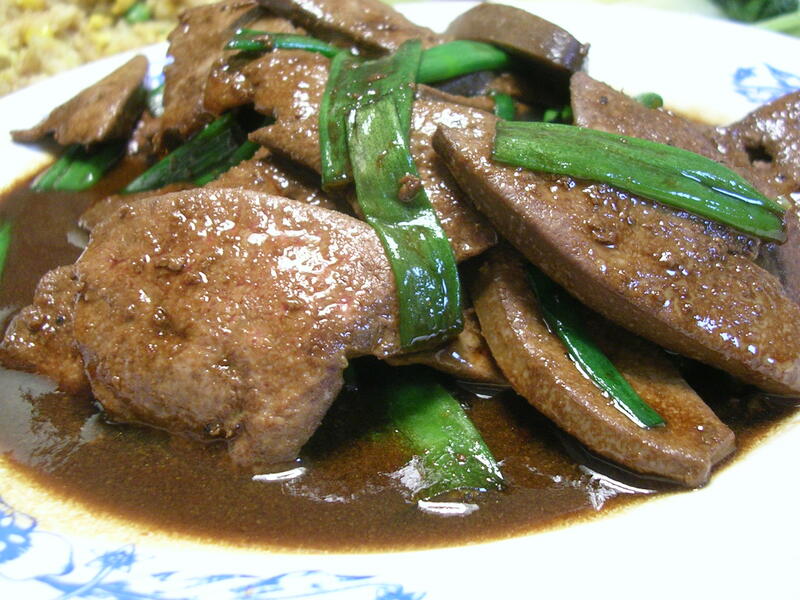 Well it's also one of my favorites, and my mom knows this, so she went out and bought pork liver to make for me when I came home :) When she makes pork liver, she likes to make it very simple, without lots of extra vegetables to distract from the unique flavor and texture of the liver. 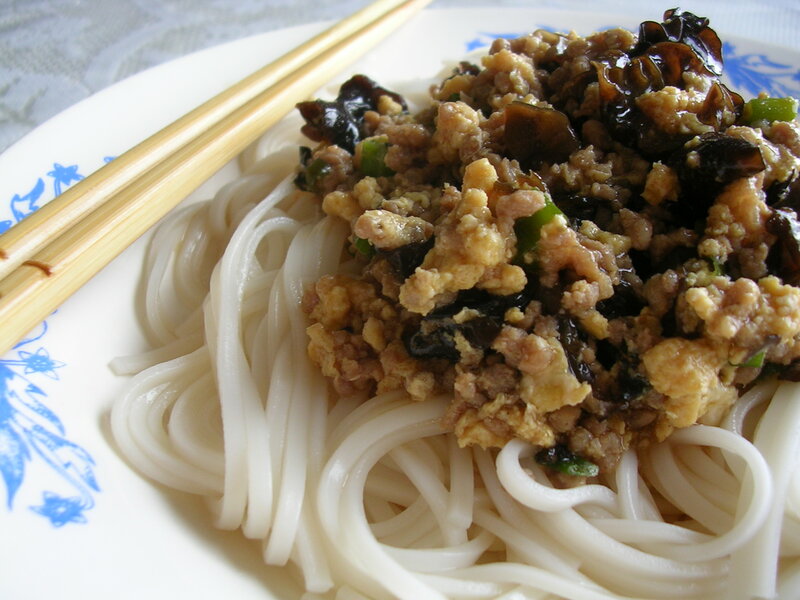 It's made with a brown sauce, that is, you guessed it, soy and oyster sauce based. She also added some sha cha sauce (Chinese bbq sauce) to it, and threw in some scallions for color and contrast. The pork liver was tender and the sauce was at just the perfect flavor and consistency, with a bit of sweetness to offset the saltiness. Mmm delish! 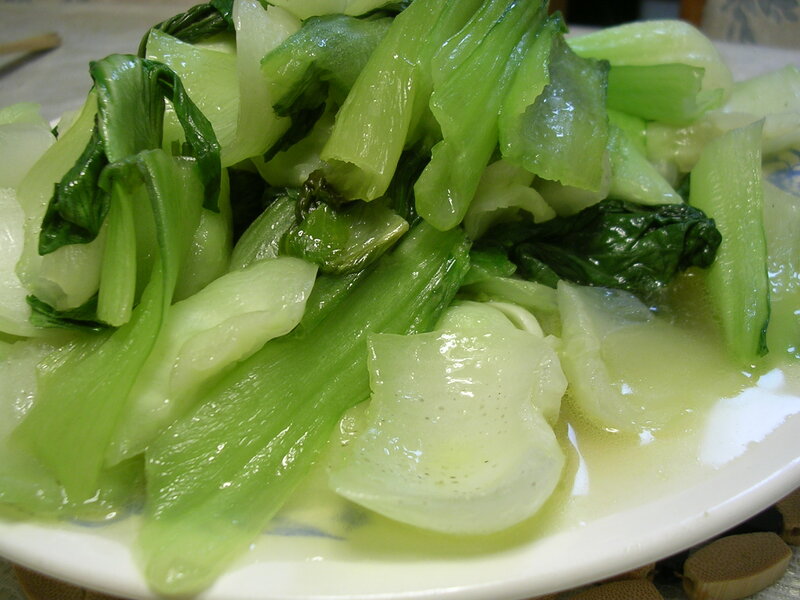 My family is never far from its trusty Shanghai bok choy. I know you've seen it on my Vox a zillion times, but part of going home is eating more veggies too, right? My mom likes to sautee these until they become pretty soft, while I like them a bit more crunchy. Granted, since these are part of the mustard plant family, the rarer the vegetable is, the more likely you will encounter a mildly pungent sting, something 100 times milder than wasabi. 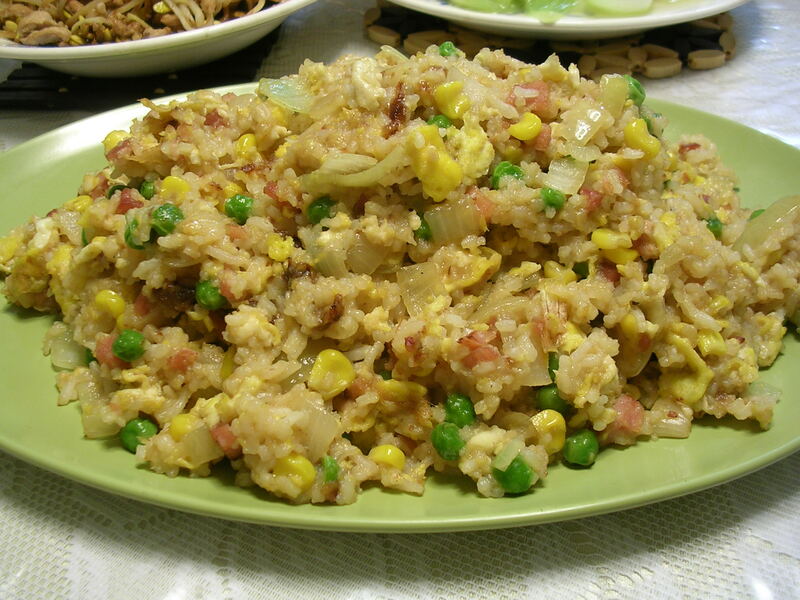 Fried rice is my mom's go-to dish for a quick and easy dinner when she's terribly busy. It's a lot less greasy than anything you'll encounter in a Chinese restaurant, and the rice is more tender, even though we use day-old rice (ever had that dreadful fried rice where the rice kernels are hard and chewy? bad!). We don't use a lot of soy in our fried rice, so it's not dark brown either. Finally, more soup! This one uses the leftovers we had from our hotpot dinner, which means shrimp balls, fish balls stuffed with ground pork, tofu, and flounder filets. I think we threw in some iceberg lettuce and mung bean sprouts too. Tasty and filling soup, definitely makes a meal for lunch. 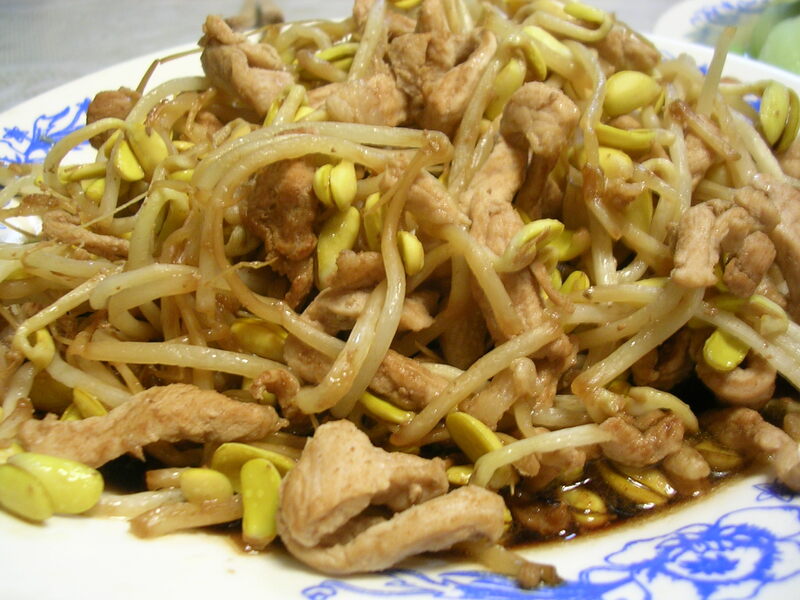 This entry was posted on Wednesday, January 2nd, 2008 at 4:39 am	and posted in Chinese, cooking, soups, Uncategorized. You can follow any responses to this entry through the RSS 2.0 feed.